Two weeks ago, I was stuck at the Indianapolis airport. Remember when the engine malfunctioned and we had that emergency landing? I spent 8 hours at the airport that day and was rather unproductive as a result. And the wifi would only connect for 45 minutes. Yeah, well, today, I was stuck all day at the courthouse for jury duty. I didn't get on the jury (HALLELUJAH! ), but it took until almost 4:00 to select the jury. More on that later in the week when I have time to blog more. But two goofed up Mondays lead to Tuesdays being work Mondays and trying to catch up all week. I told you last week about how I was at my wit's end when the bell rang at Bible class. Side note... I'm seeing the preview frame of the video below and thinking of how I need to hang something new, whatever it may be, on the walls in there. Back to my story... Peyton realized she pushed me to far last week and was on her better behavior this week. She confessed her naughty activity. I still had problems with another child who I will not name and may now have the reputation of the mean teacher. If only I had that reputation when I taught school. That's a "what if" that I could possibly write a book on. Interesting thought, I suppose. It's really hard to teach our material to kids, especially through Romans. I feel like a failure as a teacher because I am really not sure if any of the kids got anything out of the past couple of weeks that they could relay to anyone when they left. Here they are reading some of this morning's main references from Romans 5-8. And Grant chose the song of the week, "Seek Ye First." 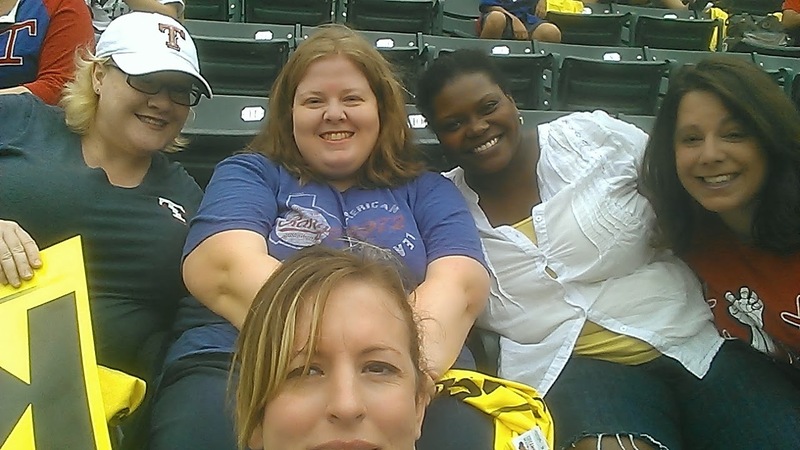 When I brought up the idea of going to a Rangers game to my Girls' Night Out group, the Rangers were still in the race to win the AL West. Then, most of September happened, and I was just glad that they were playing the Angels and I could boo Josh Hamilton. As much as anything, I had to go to at least one game at the ballpark this year because surprisingly, I had not been all season. We went to Houston for Opening Day, or I would have been at the beginning of the home season like usual. However, the Rangers got on a hot streak and are playing game 163 tomorrow for a chance to play the Wild Card game and get into the playoffs. The Wild Card game is not a real game in the minds of real fans. It's just a chance for a team to claim they were in the playoffs and for teams to sell more stuff. Once they get to play the ALDS, they can say they are in the playoffs, in my humble opinion. And right after we bought our tickets, Angie broke her leg and couldn't go. Thankfully, Courtney was able to join us. You really can't see all the rain. The game was set for 7:05 PM, but got moved to 11:05 AM in anticipation of rain and storms later in the day. It's a good thing they moved it because of how it rained in the 9th inning and the rest of the afternoon/evening. Truth be told, it was raining in the first inning. It was bad for my sleeping in on a Saturday though. I had to set an alarm to get up and go to the game. On the way up, I heard Hamilton wasn't even in the line-up which disappointed me since I couldn't boo him. 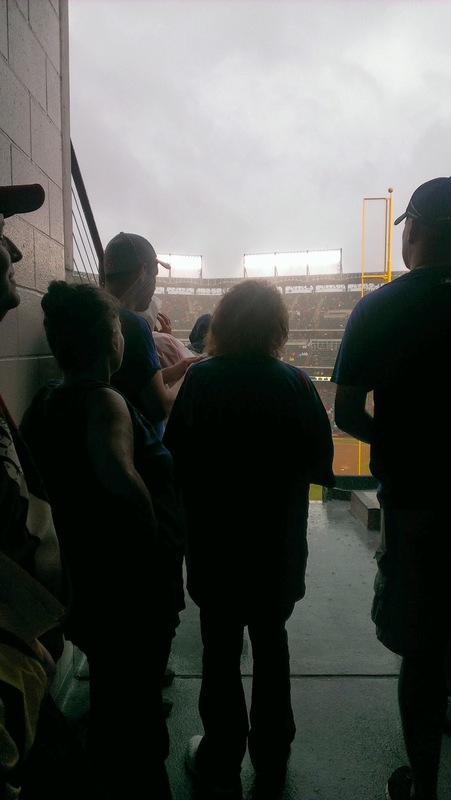 He did make it into the game to pinch hit in the 9th, but we had left the stands because it was pouring. So, I had to boo from the concourse after I figured out what was going on. The K-Zone free t-shirts made for rain gear for some of us. We call it her "Unibomber" look. 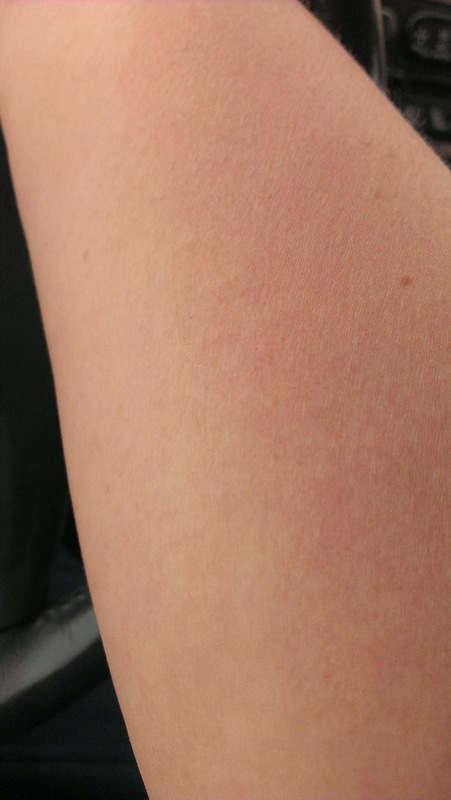 sun came out, I really did get red. As Rakia said, all we needed was a drop to 20 degrees to have every possible weather condition. When we arrived, it was so steamy that I could feel my hair curling. Then it sprinkled rain. Then it rained. Then the breeze blew and felt good. Then the sun came straight out for 15 minutes at 90+ degrees and burned my arms. Then you could tell a monsoon was coming. Then it poured. 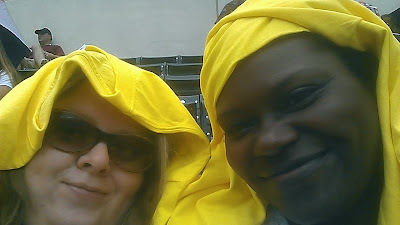 We waited out the rain before fleeing the stadium. It rained on me most of the way home. However, the Rangers won, we had a good time together and it was a great day. Even if we were sweaty and wet from being rained on and ready for hot showers by the time it was all said and done. 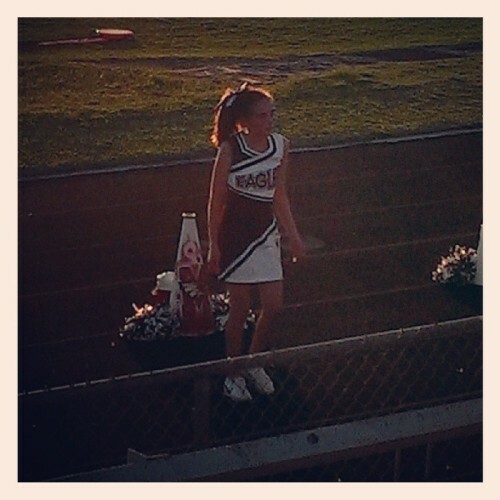 Being the good aunt that I am (hey, I just want to be visited one day in the nursing home), I went to watch Paige cheer at the jr. high football games last night (yes, two - 7th and 8th grade). I have never, ever, ever cared about football. Never have and never will. I don't really care enough to watch the cheerleading, and by the looks of Miss Paigey at moments last night, I'm not sure that she does either. At least her mind was somewhere far, far away. I could tell by looking. 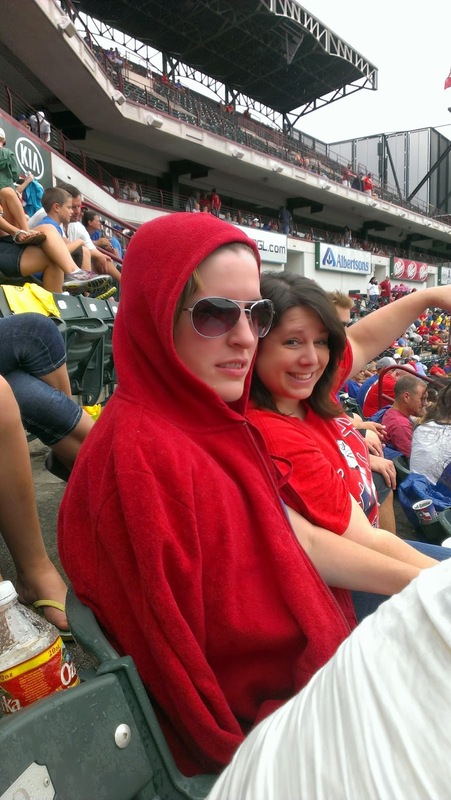 It was also still in the 90s and my clothes were sticking both to me and the metal bleachers. And the sun was in our eyes the entire time. Some things never change though. One certain person there yelling in the stands was yelling just like he was back when Brian was in jr. high and high school when he had sons the same age as Brian and I. This time he's hollering at both his youngest son and grandson who are Paige's age. (Yes, seriously.) When Mom and I heard him we just laughed, sharing the same thought, "some things never change." 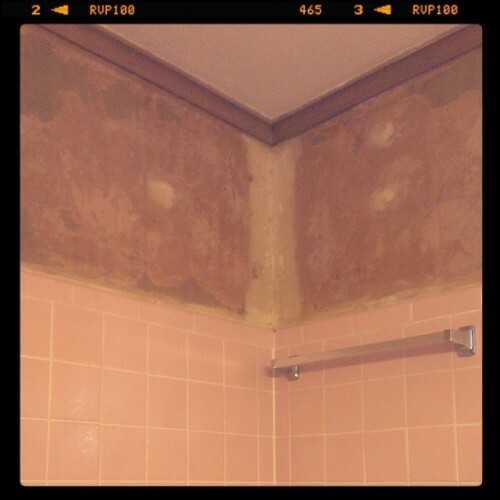 After a months' long hiatus of trying to remove the wallpaper from my bathroom, I tackled it again this past Saturday. Seeing how much better the designated wallpaper scraper worked than the putty knife I had been using previously, I called and begged my dad for his help. While we got a majority of it down, we still have some left. Oh, and prepping before I do whatever I do next. I think it's going to be wallpaper I had left from the last time I papered because I don't want to texture the walls the way my dad knows how to texture. That would be less messy than texturing and painting. And oh my goodness the mess we had to clean up after taking down the other day. It was awful. A part of me also thinks I'm going to end up with mesothelioma because I would not doubt there was asbestos in the old wallpaper. All this because I thought the old wallpaper was so ugly. Who am I kidding, it was that ugly. Saturday night when I was sitting in my living room it hurt terribly to move. My legs were sore from climbing up and down step stools, the side of the tub, and up to stand on the lid of the toilet to strip paper. What was worse were my elbows. I hurt from the back of my neck to my fingertips. My wrists were sore. It hurt to raise my arms up at the shoulders as I slept. It was painful. Absolutely painful. I just hope it looks a lot better when I finish than it did when I started. I hope there's a big difference. Tonight I was away at a volleyball game right as the new TV season started cranking up. I chose to watch How I Met Your Mother when I got home so I'm already behind on The Voice because it was a bigger time commitment. 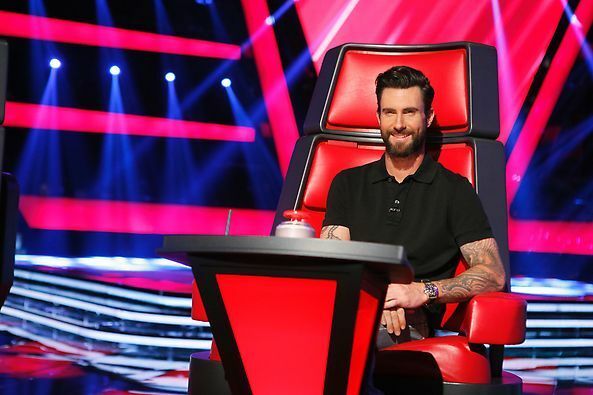 Oh well, I can catch up on Adam Levine without minding it at all. Although I didn't get any pics or videos of Paige last night, here's her serving it up last week. I don't do well with 4th graders. That's why I only lasted one semester teaching pubic school. However, I sought out teaching Peyton's class. I threatened this morning that I was going back to kindergarten. I also threatened you-know-who with having her Grandma pinch her. It was that bad. No one listened to me this morning. The video proves it. Today's song was one of Peyton's favorites, "Sanctuary." She didn't really approve of the way I taught it. Boys and girls all learned the song without parts. We can learn parts later. It's a bit rough, but they caught on for the most part pretty quickly. Enter below using the widget! Only those in the U.S. are eligible to win. Win these 10 yet-to-be-released titles from Thomas Nelson and Zondervan! Who's excited for fall? 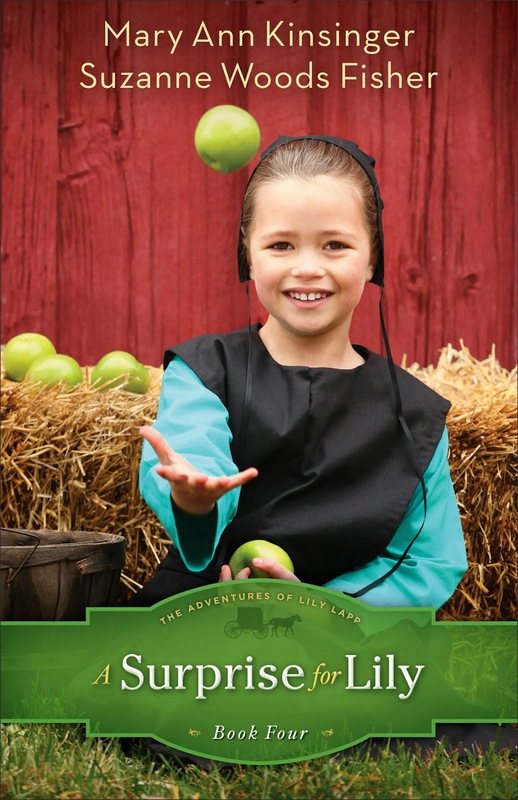 Changing leaves, cooler temps, warm drinks, bonfires — and new book releases! 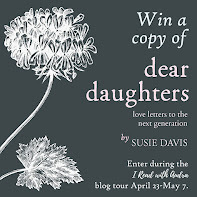 Thomas Nelson and Zondervan Fiction have a great lineup of new books slated to release this fall, and you have the chance to win them! Above you'll find ten of the fall releases with their authors and titles missing. Your job is to figure out which book cover belongs to each author and title. Simply follow the instructions on the widget below. 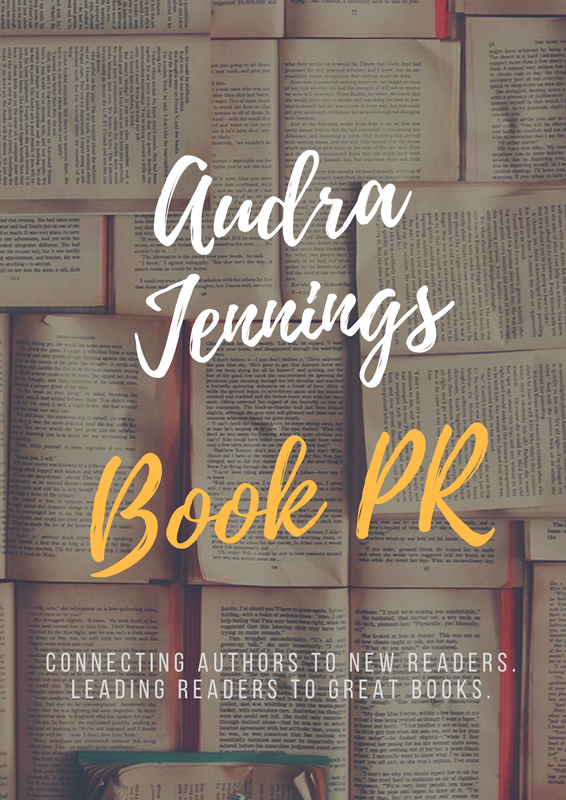 and a LIVE author chat party on October 8th. Don't miss a moment of the fun; RSVP today by signing up for a reminder. Hope to see you on the 8th! Dare Riker is a doctor who saves lives, but someone seems determined to end his. It may have something to do with the traitors he dealt with during the Civil War, or it might be related to the recent incident with Flint Greer and the ranch. Whoever the culprit is, he or she seems really fired up, and Dare can’t let his guard down for a moment, which is a challenge, since right now he’s trying to win the heart of the recently widowed Glynna. Glynna Greer came west as a mail-order bride and ended up in a bad situation. 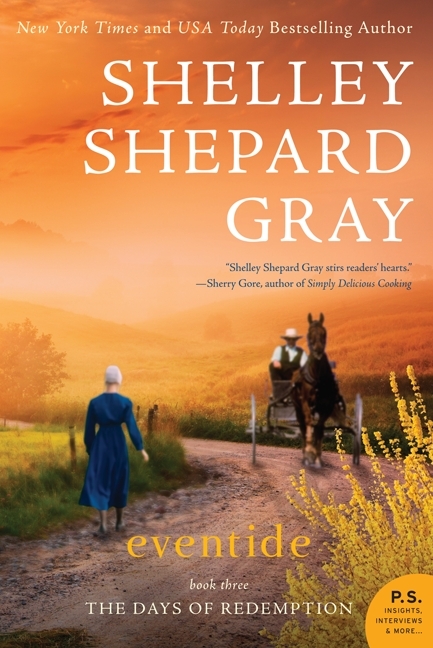 Now her husband, Flint, is dead, and she’s determined to care for her son and daughter on her own. She wants to believe Dare Riker is as decent as he seems, but she’s terrified to lock herself into another marriage. She plans to support her small family by opening a diner–never mind that cooking is not her greatest talent. The men in Broken Wheel, Texas, are so desperate for home cooking that they seem willing to overlook dried-out beef and blackened biscuits. Glynna can’t help but notice that danger follows Dare wherever he goes. There’s the avalanche. And then the fire. But things really get out of hand when someone plunges a knife from Glynna’s diner into Dare’s back. Are Flint’s cronies still plotting revenge? Is Glynna’s son engaged in a misguided attempt to protect his mother? Is a shadowy outsider still enraged over past injustices? And can Dare survive long enough to convince Glynna to take another chance on love? Learn more at Mary’s website. As you noticed, I spent several days in Indianapolis at the American Christian Fiction Writers (ACFW) conference. 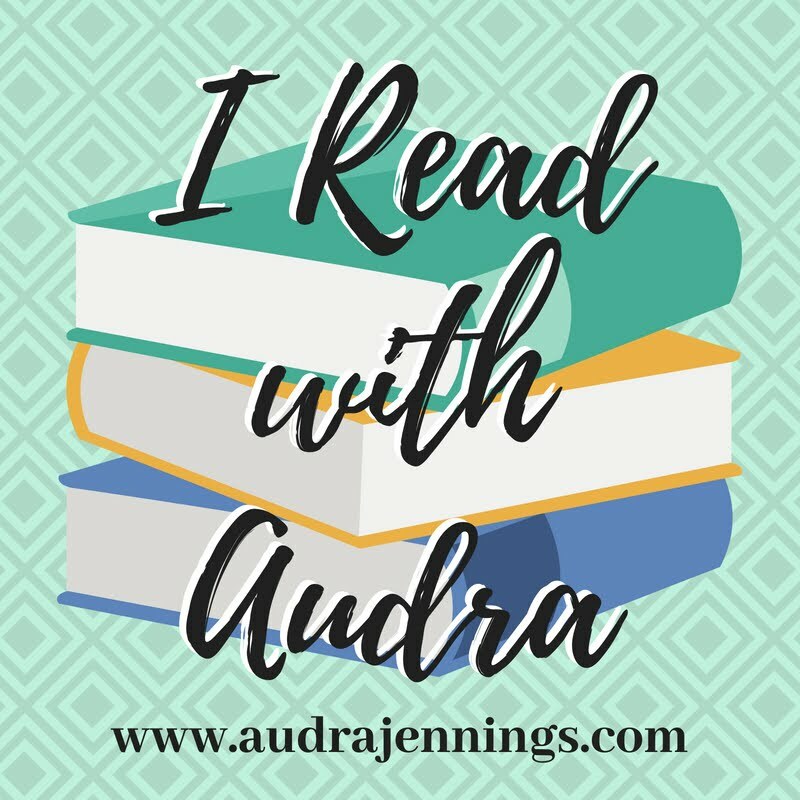 Between jumping from one meeting to another, having sketchy WiFi, having to plug in my computer when battery was low, and other reasons, my blogging has taken a hit. I apologize. It was a great, but busy weekend. Yesterday, I was just ready to come home and take a nap since we'd been going non-stop and I sure didn't get one on Sunday. Being in Indianapolis, we were an hour of head of what I'm used to, but three hours ahead of what Amy usually is. It makes a busy conference schedule and jet lag even more off whack. We were sitting at our respective beds with our laptops in front of us on Sunday night at 11:35 when I said, "are we going to work all night or can we actually sleep some? Our alarm goes off in 4 and a half hours." I think her response was something like, "yes, mother. Fine." Whatever the response, I like my sleep. Especially given that I didn't have my Sunday nap. Oh, I've already mentioned that. I get that it was only 8:35 PM Amy's time, but regardless of time zone, we had to be up at 4:00 AM local time to get to the airport and checked in, etc. for Amy's 6:40 AM flight. We had to make sure we got a cab and all of that. As it turns out, we got to the airport around 5:15 AM. My flight wasn't until 7:40 AM, but that's ok. I'd rather be there early than having to stress over time. It gave me time to buy my mom a shot glass. 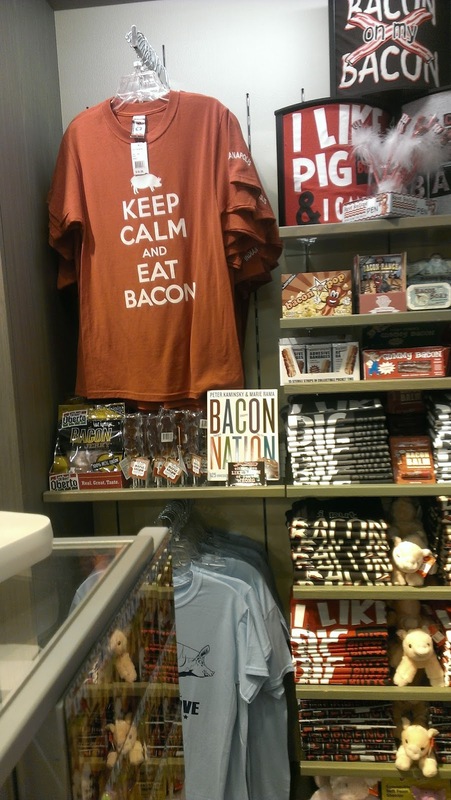 I ALMOST bought Jenny the "Keep Calm and Eat Bacon" shirt. All was set to go off as normal as we boarded the flight on time and were told we would likely be arriving earlier than the time given for our flight into Dallas. We loaded up the plane, fastened our seat belts and were off. Nothing unusual. As the plane started up, something didn't sound good, but I think that every time a plane starts. I looked out of the window and admired the clouds below. 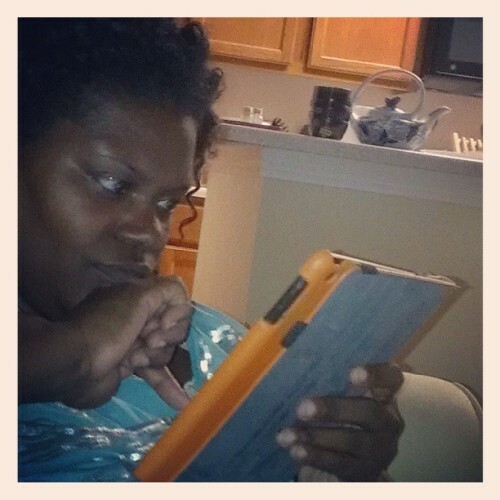 We were given the ok to use are approved electronic devices. I dug out my iPod since I was sitting in the back and the engine was really loud. My Kindle was just getting loaded up so that I could read. I'm not sure that I finished a whole song before there a set of tones going off. You know the ones like on the commercial for whatever airline the commercial is for. The ones to alert the flight attendants to announce about electronic devices or fasten your seat belt. But there were more beeps this time. I thought that was interesting. I also noticed we had seemed to make a turn farther out than I thought usual. Soon after the captain announces, "Ladies and gentlemen, we're having some issues with our right engine, so we're going to turn around and go back to Indianapolis so that we can get the problem checked out. We should be back in about 10 or 15 minutes." There didn't really seem to be a panic around me. More like, "ah man, how long is this going to take us?" Then, we had to turn off our all of our electronic devices. A couple of minutes later, we get our next announcement. "When we land at the airport, there will be emergency vehicles going along side us on the runway. This is normal operating procedure, so don't be alarmed. We'll be able to get back just fine with our left engine." I still wasn't freaking out over the emergency vehicle part. Everyone was almost collectively saying, "oooooooooooooooook." The part that it was with just our left engine made me a bit uneasy. As we got closer, I just prayed, "let us make it down ok." The plane seemed to be tilting around more than normal. It was probably my imagination though. I promise though, I wasn't about to have a panic attack. I know what that's like. When we landed, I was relieved. As soon as we slowed down enough to stop, we stopped. No taxi around to the gate. I looked out the window and saw a couple of firefighters approach. I took a picture and the guy beside me leaned forward for a picture. Then, I looked over my shoulder and said, "hand me your camera. There's more back behind us and they have a hose." This is what I saw outside my window. Notice the HazMat masks? Yeah, I noticed that too. They were breathing oxygen from those tanks on their backs, prepared for something. And this was looking out the front. Those guys are carrying bags of something. Looks like sandbags. The pilot told us the plane was going to have to be towed in. Shortly after we were told that the plane needed to be shut all the way down (electricity) as a precaution so they could check it out closer. It got warm pretty quick without the air. I called Rakia to tell her to go on to work because I might be stuck for a while. Oh, and they were going to bring stairs and buses. We were going to have to deboard there on the runway. No slides. We were wondering about the slides. There was a woman back behind me - she had to have been on the back row - who was hyperventilating that they had to get off the plane first. Maybe I should have tried that. We were all going out the front main door. We didn't open any of the other exits. Maybe they were too close to the engines. Runway staff helped passengers down with their bags if they needed it. The steps were pretty narrow, so you did need to watch your step. Ever since my friend Angie stepped wrong and broke her leg, I'm scared of falling to my death. Seriously. I thought I was going to fall and hurt myself the other night when we went down six flights at the hotel as to not have to deal with trying to get down the extremely busy and crowded elevators as everyone tried to get down to the gala. They loaded everyone on to prison buses. Everyone knows the yellow ones are school and the white ones are prison, right? There were only three buses at first and they were full before we got off the plane, so they had to drop the first loads off before we could get on. Since we couldn't get right onto the buses, we were standing around on the runway. 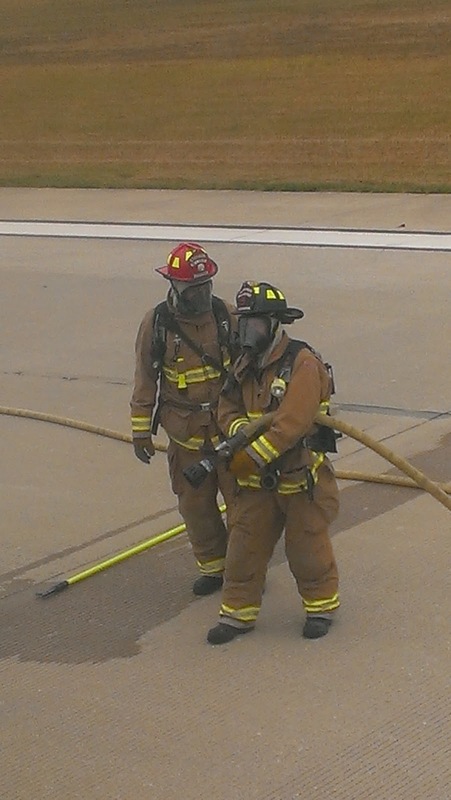 Then the firefighters told us, "we're going to ask you to go ahead and step back onto the grass and off the runway." It reminded me of how the National Park guard made us stay a certain distance from the bear up the tree a few weeks ago on vacation. Once we got out in the grass, we saw that there were five fire trucks right behind us. Not one as a precaution. Five. That's when everyone really started snapping pictures. Someone even took a picture for a couple who wanted their picture together. "Do you want the fire trucks in the background?" Yes, in this day and age, we all get out our phones to snap pictures and chronicle our detour rather than focus on the fact we could have crashed. Maybe that's a good thing. Even the pilot squatted down at the nose of the plane to get a shot of the fire trucks to the back. On the prison bus, I commented to the flight attendants who were all in the back of the bus with me that it must have been something for the pilots to be taking pictures. They said that the pilot had never had to do this kind of thing before. One asked the others if they saw smoke. Oh yeah, there were some sparks and smoke since there was jet fuel on the runway. Those sand bags had whatever they use to soak up jet fuel on the runway. There was a whole group of guys having to sweep it up off the runway. 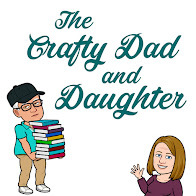 Side note: Author Deborah Raney posted on Facebook this morning about being leery to go back home to Wichita where there was a bizarre infestation of crickets. I commented that after my day at the Indy airport, I was just glad to get home period. She asked if I was on the plane that caught fire. I told her I wasn't sure about that detail. Here's what everyone inside the airport got to see while we were out on the plane, etc. When we all got back in, some passengers stood in line for an hour and a half or more to try to change flights to get to their connections. They told everyone else whose final destination was Dallas that a plane would be brought in for us. More details to come, of course. I tried to work while sitting in the floor of the terminal, but you could only get on WiFi for 45 minutes at a time, and it was slow at that. Amy had lamented over a three hour layover in Denver. Once I could tell she logged on, I asked her if she had seen my update and the fact I'd be hanging out for awhile. She decided her layout wasn't so bad. My 5:30 AM fruit for breakfast wore off after a while, so another fellow flier, Paula, and I commiserated over lunch eventually. Might as well. After a while a lot of authors we had met and spoken with at the conference showed up for the 12:30 PM flight to Dallas. Their flight got pushed to 1:00, but I told them to look on the bright side. It was a half hour vs. 5 1/2 hours. They over sold that flight and were offering $400 vouchers if they would volunteer to take our flight that was set to depart in less than an hour. REALLY? I was able to pitch more business while I was standing around. Finally, around 1:00 we started to board, but with a warning announcement, "this plane was flown in from a hangar in Chicago so there are no beverages on board. If you would like something to drink on the flight, you will need to do so before you board. You will be able to bring it on." SERIOUSLY? A bad engine, 5 1/2 hours behind schedule, and not so much as water, we can finally go. Once we boarded, we had to go through all the safety instructions again. The woman could barely get through it without giggling. We all learned they weren't going to open the other emergency doors. We're going out the front door! I was so ready to get home I can't even tell you. Rakia was able to get away from work thankfully and pick me up at 2:30 PM instead of 9:00 AM. At least we could get picked up. As I told her the details, she asked about the mention of compensation and how I should call and tell them that I was a publicist and could get the word out about the whole thing, including the long wait and no beverages, especially given the voucher offer for those on the other flight. I made it back home a little after 4:00 once I picked up my car at Rakia's and drove home. Later, I was showing pictures to and talking to Paige and Peyton's mom, Joni. She flies with Southwest and her husband has been a pilot for years and years. Evidently all of this is thankfully very rare. She said he had never had anything like that happen as long as he had been flying. She asked if we had gotten any voucher or refund offers. I told her at the time, not so much as a offer for bonus miles. This afternoon, I just knew it was my teaser blog post that I tagged American Airlines in that got the attention of their customer relations offices. "Social media at work," I thought. We are writing to follow up with you about the situation you encountered as a passenger on our flight 2217 on September 16. We realize that your experience was certainly unexpected and we are very sorry for the concern you may have experienced. In accordance with standard operating safety procedures, our captain asked that the emergency response team be deployed upon landing. While we can well imagine how surprising it was to see emergency vehicles and personnel meet your flight, your safety is our primary concern. In appreciation for your patience and understanding, we have added 20,000 AAdvantage® bonus miles to your account. You should see this mileage adjustment in your account very soon, and you can view this activity via our web site, AA.com. Your loyalty is important to us and we would like to assure you that we are committed to getting you to your destination as planned. We'll do our best to provide a smooth trip the next time you fly with us. We will look forward to the opportunity. I found out later that an author who volunteered to take our flight and got a voucher had also gotten the same email, so my previous post probably meant absolutely nothing. I asked my Facebook friends what 20,000 bonus miles would get me, and the best guess is half of a one-way ticket. I don't know about that one way or the other. Let's just say that was more than enough plane excitement for me. And 8 hours in the airport (minus our short time in the air) was plenty of time in an airport. Being home, safe and sound, has a whole new meaning now. After having to get up that early after 4 hours of sleep and that whole day, I was ready for my own bed, even more so than 4 nights away from home usually makes me long for my own bed. Here is a tease of my day. I will post all about it tomorrow, but it is 8:30 PM now and I got up at the equivalent of 3:00 AM. It has been a long day after 4 hours of sleep. It's a serious story, but I think you will enjoy my version of it. ACFW has been a great chance to catch up with friends, meet authors face-to-face, and introduce ourselves to potential clients. Tonight was the gala and Carol Awards dinner. 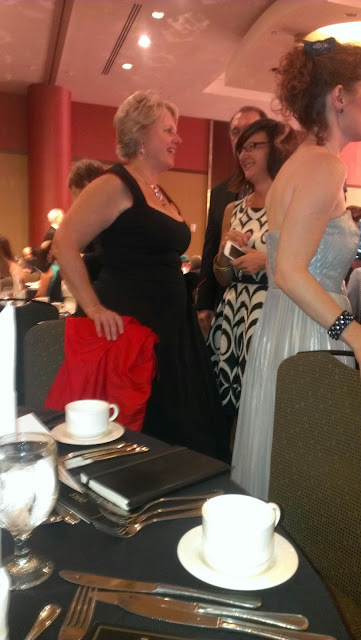 Lots of dressed up and excited authors, agents and editors! I let everyone else take the pictures and there are some great ones on Facebook, but here is Litfuse's own Amy Lathrop with Susie May Warren. For a list of the 2013 Carol Award Winners, click here! The only thing about so many meetings back to back in a short period of time is that you forget who you said what to. Or more specifically, when you tell everyone very similar things, you can't remember if you told the person in front of you something already or if was the last person. Amy asked me at one time, "did I already say that?" All I could answer was, "I'm not really sure." We're having a great time meeting people face to face that we have only emailed or talked on the phone to in the past. It's been a busy, busy day! We did get outside the hotel for dinner. Obviously we are close to the Indiana capital building. I know my posts have been all off this week. Late. Not much substance for the most part. I've been getting ready for a business trip. But she's going to kill me for posting this picture. Everyone has been posting today on Facebook about what they were doing on 9/11/01. So, I'll share mine here. Twelve years ago, I was teaching my one and only semester of school. I am sure you have heard me refer to that time in my life. The kids were in P.E. and I walked down to another teacher's room as I often did. She was one of my mentors and I was probably seeking advice on the latest calamity going on in my class. Her husband or someone had called to alert her of what was going on, and she was listening to the radio. I listened in as the newscast said the first tower collapsed. I really had absolutely no idea what that meant. I didn't really understand what was going on because I couldn't picture it. Isolated from media until later that afternoon, the computer teacher had a tiny black and white TV and at that point, they were talking about the crash in Pennsylvania. It was still difficult to comprehend. In fact, it still is in some ways. It wasn't until I got home that I really started getting the big picture and could see what actually happened. After school that day, I remember going over to my parents' house before they got home from work and watching the coverage. The next day was interesting when the kids got back to school. As 4th graders, you know their questions were something else. And what they heard from their parents before facts were really known were not all correct. That made for interesting discussions too. Yesterday, I thought about a post that probably would have been titled something like "When a new guy shows up at church." I thought better of it though. It definitely would have been good for a laugh, but the parties involved in the long version of the tale would have been evident, and you never know who might be reading. It also would have been incriminating when it came to someone who did a whole online fact finding mission. Fine. I'll admit it. I was the one using Google to prove a point... that my mother is not a good judge of age. Let's just leave it at she's a lot like my great-grandmother who used to talk about all the "old women" at the nursing home when she was the one that was 100. At the heart of what that whole post would have been about is: why do people think they have to fix other people up? At this point, I realize I'm posting about it without telling the funny parts. If any single person is visiting a different congregation, even if they are seeking a church with more single people, don't make it awkward by thinking you need to be the instigator of a potential love connection. You may send them running for the hills. For one thing, you don't know enough about the new person to know if they would be a good fit with the person you have in mind. Then again, how well do you know the person you have in mind? Do you know what they are looking for if they are interested in finding anyone? When the pool of singles is shallow, there is a high likelihood that the two people are not a good match anyway. Besides, it's not a huge congregation. Single people will talk to one another eventually and they are grown adults who can make their own decisions on whether or not they should go out to Sunday lunch, a movie, whatever. And in case you are curious, I WAS NOT the person mentioned in being fixed up. No one ever wants to fix me up with anyone. Ever. Except that one time I heard of and I was insulted by the person mentioned. And that was probably 10 years ago. That's a whole other blog post... my resentment of how everyone always wants to fix everyone else up, but never me. That subject may be revisited at a later time. Win Shelley Shepard Gray’s Days of Redemption Series! by giving away FIVE sets of the series. Elsie Keim doesn’t want to be left behind. Her twin sister, Viola, and her older brother, Roman, have both found love and are building lives of their own. But Elsie? She’s still stuck at home, being treated like a child. No one seems to consider her a capable woman—all they see are the thick lenses of her glasses, constant reminders that Elsie suffers from keratoconus and is slowly going blind. Elsie knows there’s much more to her than her disease. That’s why when a new neighbor, Landon Troyer, shows some interest in her, she doesn’t want anything to scare him away . . . even if it means keeping her condition a secret. 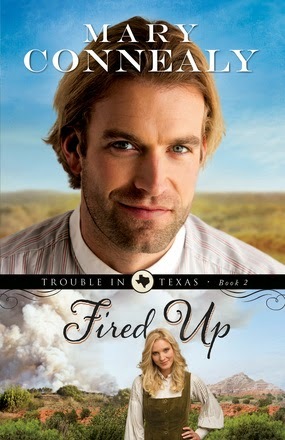 Landon is ready to start a new life and feels like Elsie may just be the right woman to start it with. But when Roman steps in and shares the truth about Elsie’s illness, Landon is floored. His job is demanding and takes him away from home, sometimes for days at a time. How could he keep up with his responsibilities and take care of Elsie? I may be in trouble. I have to threaten these children already, two weeks in. They wanted to act out the story, but we were in a rush, and Paul wasn't quite so ready, so I had to narrate. I honestly haven't watched because I hate to hear myself. And the "special effects" may make you seasick when you watch. For our song of the week, I don't want to hear myself sing, but we should have practiced a bit more before doing it on video. I'm just proud that they stuck to trying to learn it and wanting to do it for the video. We can always practice it more.